A longtime volunteer at the Medical Center retired last week, at the age of 112 years young! That, of course, is in dog years. Oscar the pet therapy dog has been comforting many of the young patients in our Children’s Medical Center outpatient clinics for the past seven years. 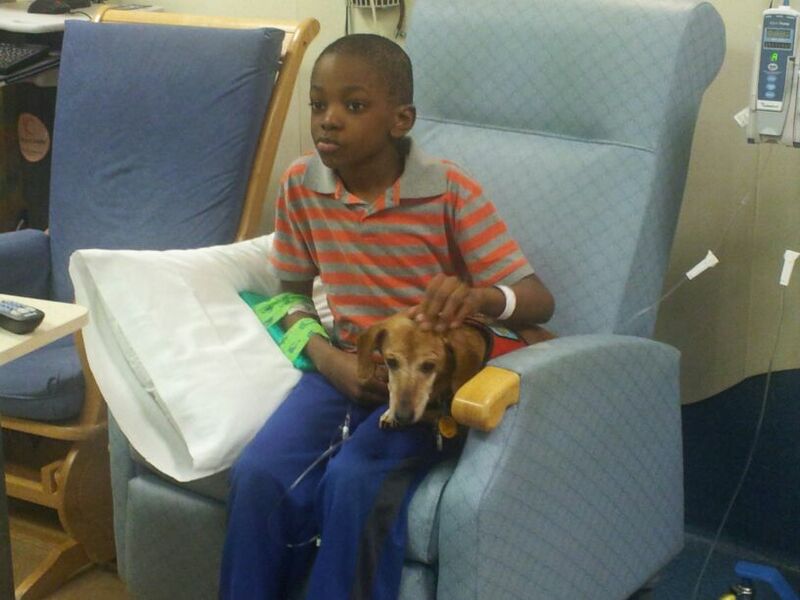 Health care volunteers are a special breed…and in this case, it’s a dachshund. 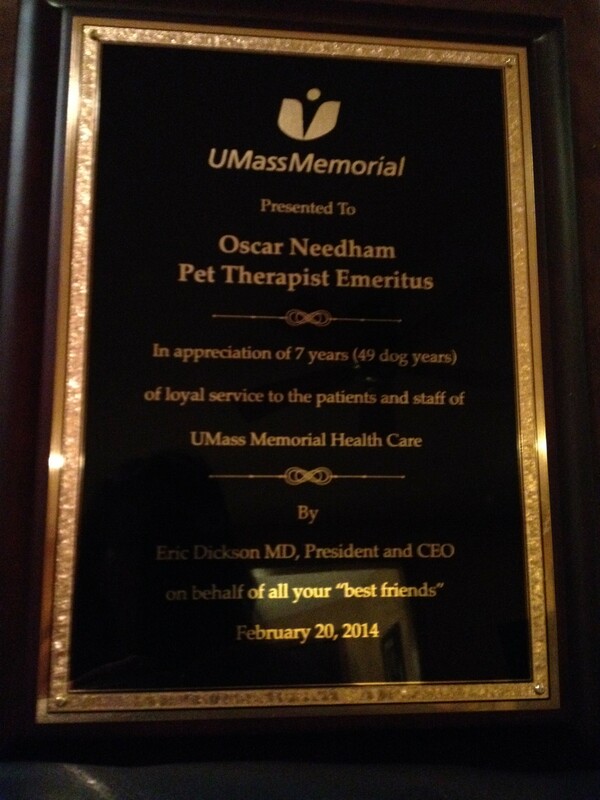 Oscar’s owner, Bianca Needham, RN, BSN, a nurse in the emergency department at the University Campus, says that she always knew that Oscar had a sense of compassion and caring, ever since he was pup. I look at the care givers throughout UMass Memorial Health Care, and I see those same qualities and dedication. We can all learn from Oscar, who has wagged away many fears and tense moments for our patients. He has sat patiently while 6 and 7 year olds anxiously pet him, he has dressed in silly costumes to lead the Halloween parade, and his friendship has taken the sting out of more shots than we can count….in other words, he has been the ultimate caregiver, giving of himself to make a day that much brighter for a kid who isn’t feeling so great. You can read about Oscar’s big day here, or spend a couple of minutes with him on this TV news story. This entry was posted in Employees, Media Coverage, Patients and tagged compassion, employees, Pet Therapy by Eric Dickson, MD, MHCM. Bookmark the permalink.